Our packing and storage company in Leeds specializes in providing long term and short term storage services for private individuals and business customers. We provide clean, dry and secure storage rooms varying in size from 0.5 m² to 20 m². The self storage service is available 7/24. Full container and some long storage services are available on earlier arrangements only, just to make it cheaper. Whatever you want to store at our premisses we can handle it. Our warehouse can accommodate any type of goods: domestic furniture, office equipment, computers, motorbikes and even cars. If you need to hire some storage space you will probably need your goods to be collected and delivered to the storage place. We will take care of everything. you want to store your seasonal equipment, and at the same time use it when you need it. For example, surfing board, camping gear, scuba diving equipment, ski stuff, winter clothes etc..
Just contact us and more space is no longer a problem! In almost in every apartment or a house if you have a large family, there is not enough space for the things you need to keep. Luckily some goods you use just once a year like the Christmas tree and the three decorations. Contact our removal company and we will provide with a good storage costs. Such items you can keep in our storage containers or in storage units in Leeds. We are sure there are a lot more items you do not need at home but you want to keep. Our storage solutions in Leeds are one of the best and cheapest ways of keeping your private possessions away from home so you can enjoy more free living space. If it is important and quite urgent for you and your family to find an off-site storage in Leeds where your items can be safely stored contact us for free weekly, monthly or even yearly rates and storage costs in Leeds. All our storage warehouses are located in Leeds. To your disposition we have a large car park and our forklift operators will assist you at any time. You can use our extra house storage space, so that you will regain the living space in your home. 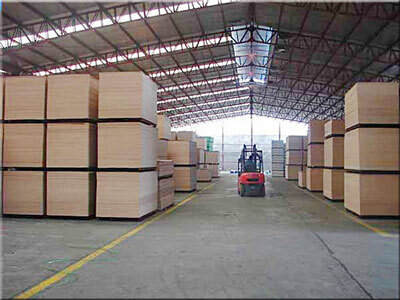 Our cheap and local packing and storage firm provides perfect storage for different types of things. To obtain exact Leeds storage costs we will need from the cubic volume of all items to be stored. You can also simply email the list of goods to be stored and we will work out the cubic volume for you. Please keep in mind that with us you can also buy all the packaging materials and storage boxes required for the security, removal and storage of your goods. Are you using a shipping company in Leeds to ship goods to Australia we can help too. Are you interested in storage or Removals Featherstone? We can help!